UPDATE: Congratulations to our winner, Tabatha Murray! Please check your email for how to claim your prize. Thank you to all who entered! Sure, it’d be amazing if we could visit the spa once a week for a facial, but let’s be real — we don’t have the time or the bottomless bank accounts for that kinda lifestyle. But our skin is still in need of a deep clean every now and then. Biore Pore Strips work to instantly remove pore-clogging dirt and oil that lead to blackheads. The result? Clear, fresh-faced skin. 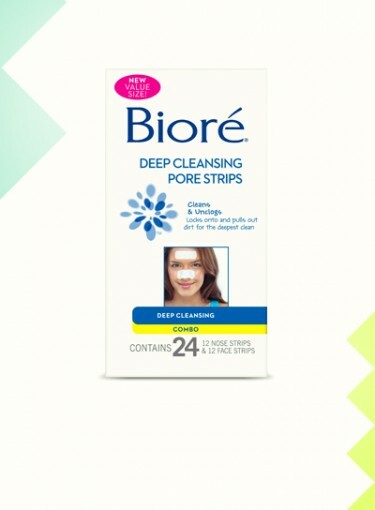 The Prize: One winner will win Biore’s Combo Pack Pore Cleansing Strips. The Deadline: The contest will run from Monday, November 5th to Friday, November 9th. We will pick a winner at 12 p.m. on Friday, November 9th. Good luck! US only; contest not valid for previous giveaway/caption winners.